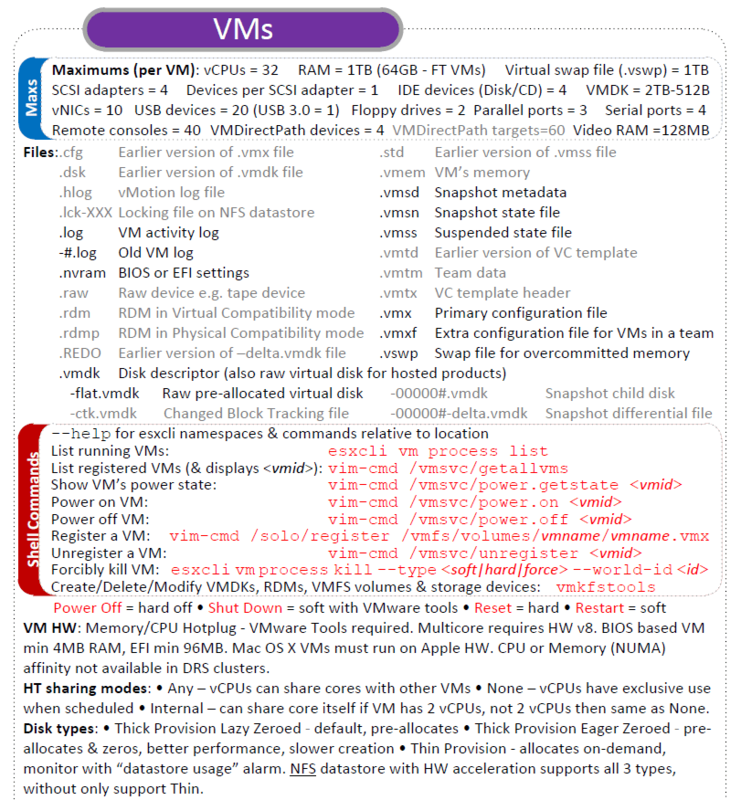 Here is another preview of the upcoming vSphere 5 vReference Card – the VM section. 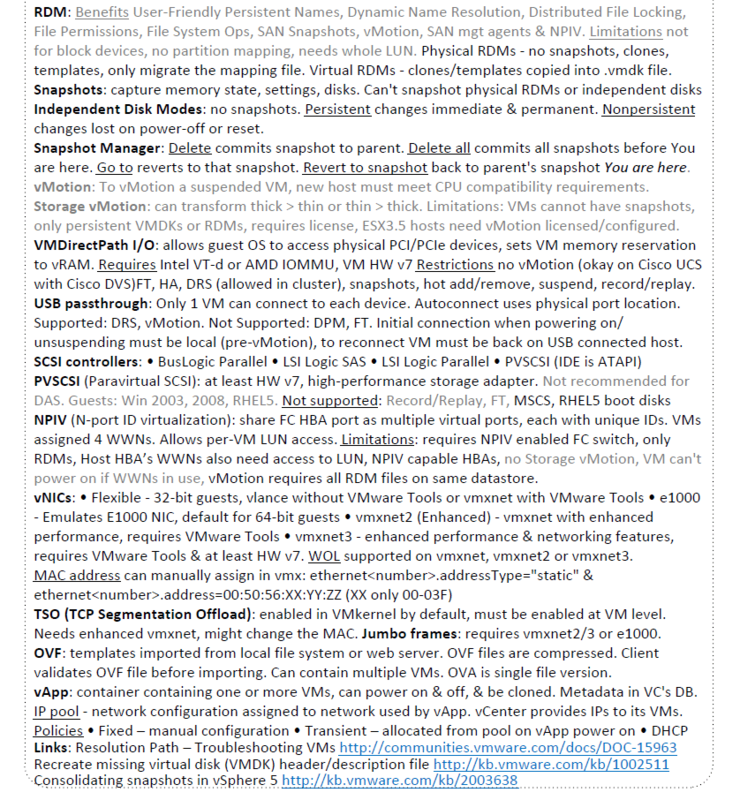 There are several areas that I’ve shaded in grey as I’ve not been able to confirm that they are still valid with vSphere 5 VMs. I’d love to hear your feedback, as I’m likely to drop anything I can’t be sure is absolutely correct or just not relevant enough anymore. Click on the two images below to see it full size or you can view/print it as a PDF.